If you love the taste of sparkling water, don’t worry that the bubbles may damage your teeth or ruin your low calorie diet. Health conscious consumers in the UAE are given assurances today over some of the common myths about carbonated water that circulate from time to time. Culligan Middle East says studies have shown that sparkling water does not spoil tooth enamel. Meanwhile, like natural water, it contains zero calories. Contrary to some consumer concerns, it is also totally free of salts, particularly sodium, which can cause water retention. Culligan, which provides water supply and treatment solutions for offices, hospitals, hotels and industry across the Middle East, is increasingly at home in the region. 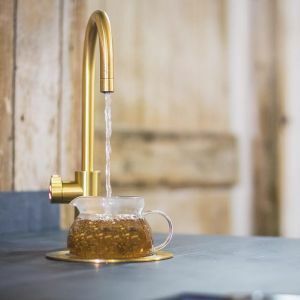 Its Zip HydroTap and newly launched Selfizz are bottleless, plastic-free systems that give filtered sparkling, boiling, chilled and still water instantaneously from a single under-sink and counter-top unit, respectively.